I do rather love that introductory paragraph to perhaps one of the most famous tea parties in the world. It always made me wonder what was on the table aside from the tea that made Alice so indignantly want to sit down. When I first read the book I did’t speak English all that well but had a mind full of images of different teapots with different teas, very British scones and sandwiches made from soft, white bread and cakes. Not the square cakes my mother used to make in our roasting tray because we had no cake tins, but the properly British round ones with cream and strawberries, chocolate and cherries. Magical. Every now and then it’s fun to create that tea party at home. A little change to dinner parties and an event to celebrate this glorious British summer we are having. Comins Tea House – don’t let the ‘tea house’ element of the name put you off. These guys do actually have a tea house in Dorset but you can buy their beautiful teas online too. The teas are personally sourced by Rob and Michelle Comins from small single estates around the world. Try the Sencha Karigane, First Flush Darjeeling and the Dong Ding Oolong. The East India Company – I always visit this shop when I’m in London. Once you’ve finished gawping at the beautiful china wander over to the tea bar, have a chat with Lalith and choose your perfect blends. I’d go for Jasmine Pearls and Lapsang Souchong. Kandula Tea Company – I fell in love with proper tea again in Sri Lanka a few years ago. In fact I bought so much back that it was all I drank for about a year. All Kandula teas are picked processed and packed in Sri Lanka helping support the estate communities. Try the Afternoon Ceylon and the Ivory White Ceylon. Cakes are of prime importance too of course! So aside from the perfect scone here’s what would be on my table. Sally Prosser’s Victoria Sandwich Cake – well this is a must have and Sally’s family recipe uses that old fashioned method of weighing the eggs to get the right weights for the flour, sugar and margarine. Yes margarine. There are a few good ethical ones that you can buy. This works well with a Darjeeling or Assam. Helen Best Shaw’s Banoffee Eclairs – I know that eclairs are a bit French but they are a must on our afternoon tea table. This recipe from Helen is step by step simplicity with a lovely easy filling you can experiment with. I would opt for a refreshing white tea to go with them. Nazima Pathan’s Lychee Mousse Cake – the whole afternoon tea ritual is decadent so add an impressive layered mousse cake cut into bite sized pieces. An Oolong would be lovely with this fruity cake. Finally I think the table needs something tart. 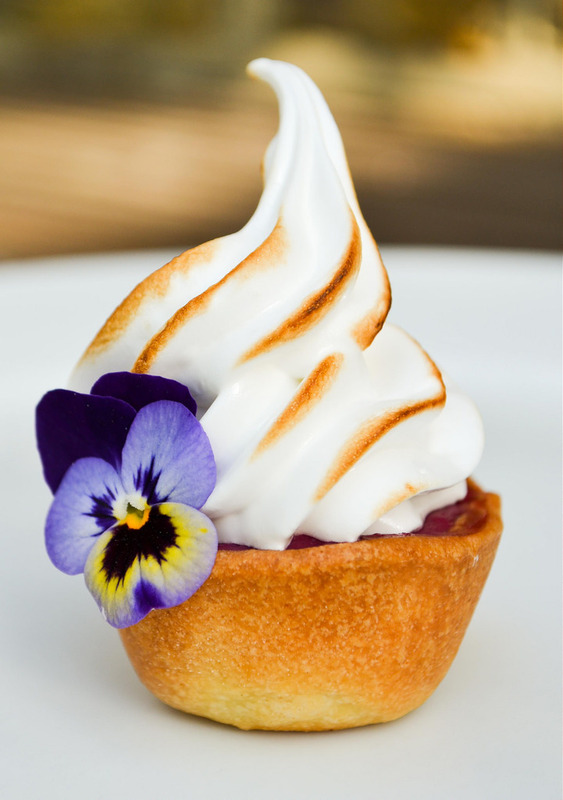 A lemon meringue pie or mini version using summer berries. This would work well with any green tea. 1 pack ready rolled pastry or follow my recipe for making your own. Cut 24 circles using a 2.5 inch round biscuit cutter. Grease the 24 hole mini muffin tray with melted butter and then push the pastry circles into each muffin hole. Once you’ve done all of them, put the tray in the freezer for 10 minutes and put the oven on to 200C. Take the tray out of the freezer and prick the pastry lightly with a cocktail stick or little fork and then bake for around 8 minutes or so until you see a golden brown colour. It may puff up but you can gently press this down after baking or before baking, line the pastry with foil and baking beads, bake with those on for about 5 minutes and then bake for a few minutes more after taking them off). Take the tray out of the oven and leave to cool completely. While it’s cooling make the meringue by whisking the egg white until you get soft peaks. Put the caster sugar and water in a small saucepan and heat gently til you get a syrupy, bubbly texture – this will be 115C – 118C on a sugar thermometer. Slowly pour the sugar syrup into the egg whites while whisking all the time and then keep on whisking until you get stiff, satiny peaks. When this is ready, spoon some blackberry curd into each pastry shell and then pipe a swirl of meringue on top. Finally using a blow torch, gently scorch the meringue. And if you just want someone to make it all for you? If all that seems far too much effort then go and enjoy someone else’s hard work! 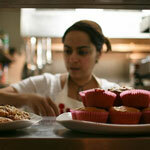 Here are a few London recommendations but check The Afternoon Tea website for offers before you go. They change all the time. The Afternoon Tea Bus – a must do in London. Afternoon tea on a double decker bus. The quality of the food and tea is very good and you get a lovely sightseeing tour too. Cinnamon Soho – for something abit different but equally traditional, try the High Chai. The Mandarin Oriental – I love this one. Dainty delights but great tea menu too. The Ritz – it has to be done just once in a lifetime. The sandwiches never run out and the scones are mini perfection. So are you a fan of afternoon tea? What would be on your table? where is the best afternoon tea you’ve had? I’m always on the lookout! Thanks for the link – I do love afternoon tea. In fact KP only mentioned that we must do our annual Devon cream tea at Cothele this week. The thing I always think epitomizes afternoon tea is a scone with clotted cream and jam. Completely. But cream first or jam first? I have only had them with jam on the bottom and cream on top of the jam. As long as they tasted great then I don’t thinking matters! Lovely post, and your Blackberry Meringue Pies look gorgeous! These adorable little tarts would be well placed at any tea party, for sure! I love that scene in Alice in Wonderland too. The book is just so totally magically bonkers. Oh my Urvashi – I seriously want to drop everything and make and eat these now. I think my perfect afternoon tea would have to include something with cardamom. They’re beautiful! Such perfect little pies. And I bet they’re utterly delicious. Thanks Emily. They are rather moreish. This is the problem with little bites. They kinda tend to turn in to lotsa bites!